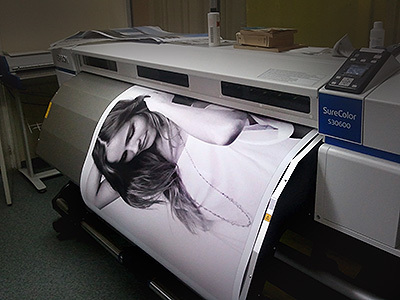 Large Photo Printing, Fast and low-cost, Overnight, Next Bussiness Day, Everywhere in Europe! Eco-Friendly Ink, Epson machines and Epson original ink used in the process. Free Full bleed cutting! Color & BW. Large Photo Print, produced on our machine. In terms of photo-printing our service offers you the best balance between quality and price. The quality of the photo prints comes very close to that of proffessional photo machines (Those prints cost 4-5 times more). But we will be coming back to the quality a bit lower in the page where we discover some interesting results. Using a new state-of-the art Black & White rendering technology, the printer is able to reproduce Black and White photos without granining. Formerly, many printers out there would print Black and White pictures with high amounts of noise especially in the grey areas, but not anymore. This has all changed now. We intend to bring great quality at a much lower price than professional photography. So we went out and thoroughly adjusted and calibrated our machines in order to get the best picture out of them. So after the testing and adjustment sessions which lasted for months, we came across some interesting results. 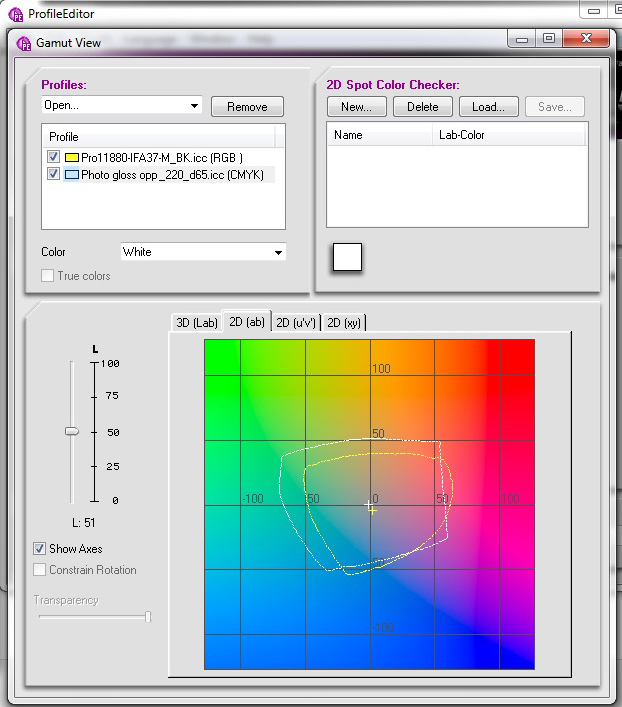 The software showed us the dimensions of our color space compared to professional photography. For this test: Bigger is better. The bigger the color space, the more colors the printer can reproduce, thus better gradients and light areas. The bigger the better – The larger circle represents our printer (White circle) and the smaller circle represents an Epson 11880 Photo Printer. Notice that the color space in our printer is considerably larger.